Sinn Féin leader Mary Lou McDonald has hit out at Taoiseach Leo Varadkar after he demanded that Sinn Féin MPs resign from their Westminster seats. The Taoiseach made the statement earlier today, claiming that the upcoming week is crucial for Tory leader Theresa May. “If Sinn Féin feel they got elected on the basis of abstentionist then they have the option now of resigning their seats and allowing people in those constituencies decide whether or not they want to have a say when this vote comes to Westminster," he said. 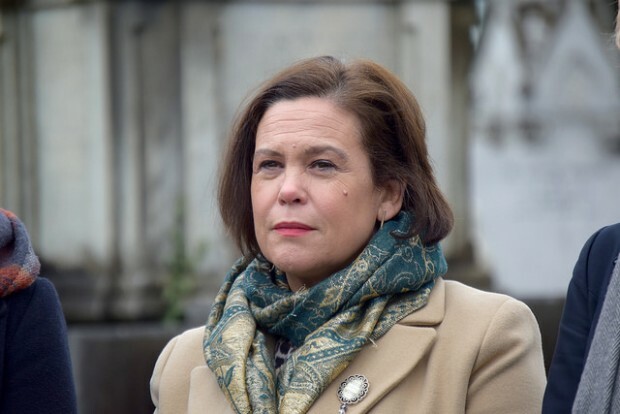 “Fine Gael, and Fianna Fáil for that matter, should put to the people their willingness to take seats in Westminster and to swearing an oath to a foreign power and let the people decide,” she said. In the 2017 Westminster election, Nationalist voters turned their back on Westminster increasing Sinn Féin's representation by more than double, while Fine Gael and Fianna Fáil continue to abstain from political life in the north.